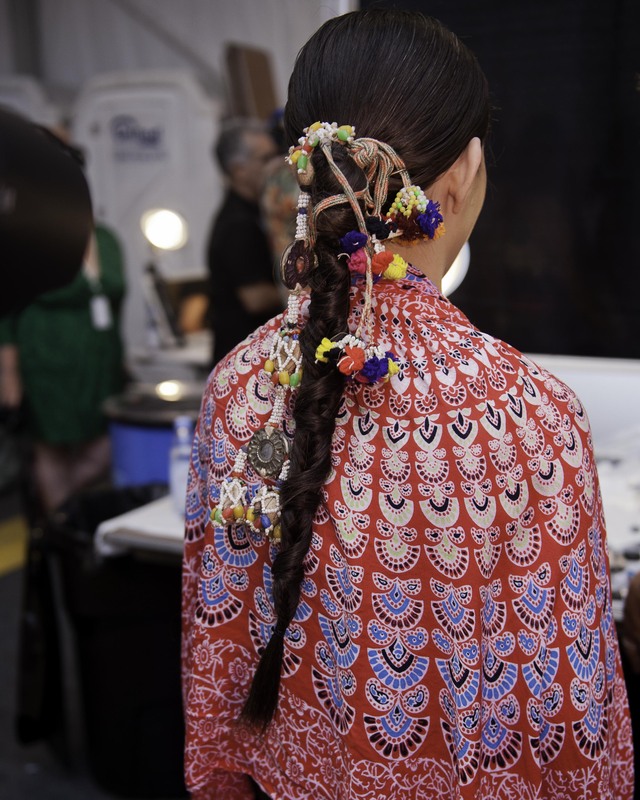 See the pros create sleek, intricate plaits backstage for the Mara Hoffman show at Mercedes Benz Fashion Week Swim last weekend. Mara Hoffman at MBFW Swim 2014. (c) SJ Chronicle, 2013. Mara Hoffman, MBFW Swim 2014 (c) SJ Chronicle, 2013. Mara Hoffman, MBFW Miami 2014. (c) SJ Chronicle, 2013. Mara Hoffman, MBFW Miami 2014 (c) SJ Chronicle, 2013. This entry was posted in Beach, Designer, Event, Fashion, Fashion Week, MBFW Swim 2014, Model, Photography, Surf, Swimsuit and tagged backstage, behind the scenes, braid, cabana grande, Designer, Fashion, hair, make-up, mara hoffman, mbfw miami, mbfw swim 2014, model, photography, swimwear. Bookmark the permalink.